As we continue to advance forward into more fashion savvy fitness apparel, we'll continue to bring you the best of the best. When we debuted our Function Shoulder Zip Hoodie we got an immediate waiting list of over 500 day 1. This uniquely designed ultra premium shoulder zip hoodie is cutting edge in its style and fit not to mention incredibly soft. Featuring a revolutionary right shoulder side zip, front pouch pockets, and a full hoodie, this will most definitely become your favorite jacket not to mention you'll get compliments each & every time you wear it! 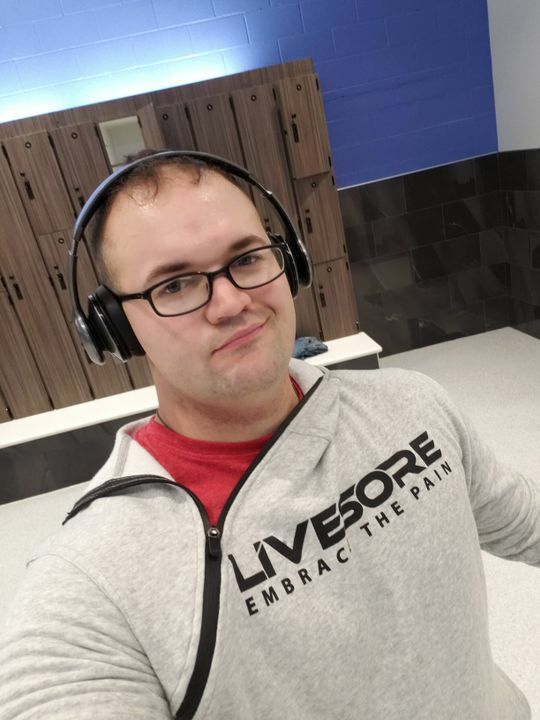 Add this workout brand hoodie to your collection and you’ll thank us! sizing notes: These are men's cut hoodies that run a touch snug. Both models (male & female) are wearing size medium, male model is 5'8“ 190# female is 5'3” 120#. Love this hoodie. Ordered 1 for me and 1 for my gf. The look and feel is great. Took a minute to get used to the zipper but it is soft, warm, comfortable AF.. Boys don't let your girl steal this one. So soft and love the design. I get compliments on this hoodie every time i wear it. Keeps me warm up in the deep north where I live and I don't even have to wear another jacket with it! It's so warm, comfy and I get a lot of compliments! Such an amazingly cool hoodie! I had never seen anything like this hoodie, its just so unique that it grabbed my attention and I had to have it. Then I was amazed at just how warm and comfy it is. I've had it for about 4 months now and constantly get compliments and people asking where I got it. The bonus, I saved a ton w/ the initial presale coupon!! Keep the cool designs coming! That is music to our ears! Thanks so much for your support & great words! !